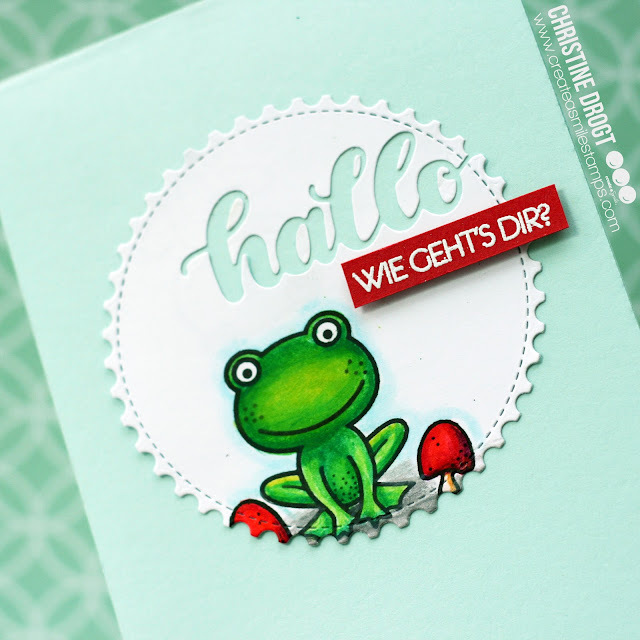 Das Kartenchaos: Das doppelte Lottchen #177 & new CAS release! 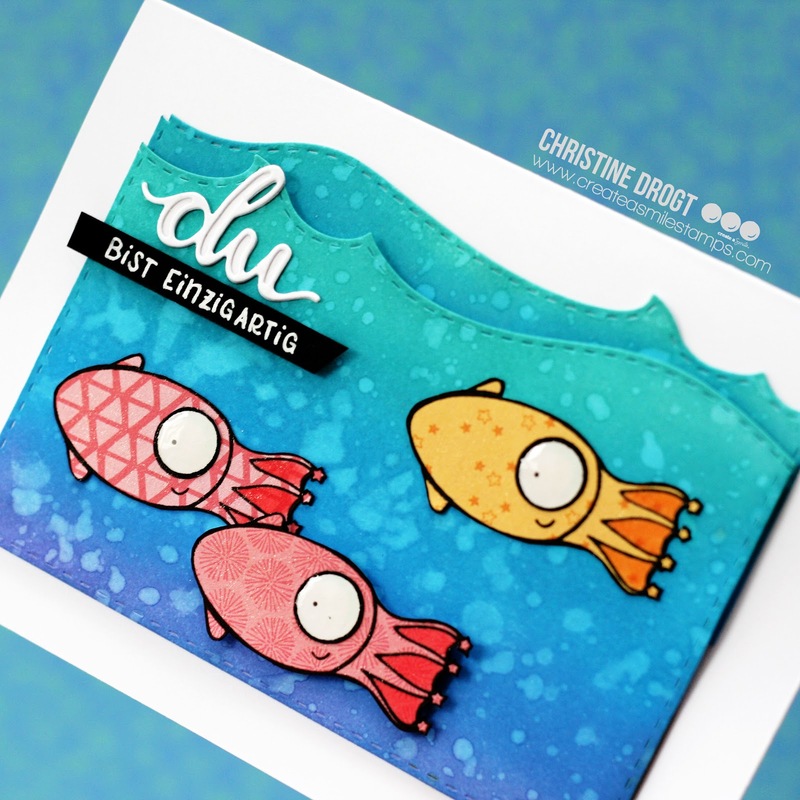 Das doppelte Lottchen #177 & new CAS release! Lottie and Lisa means Anni and I usually pick a stamp or stamp set or die that we both have (we nearly have the same taste!) 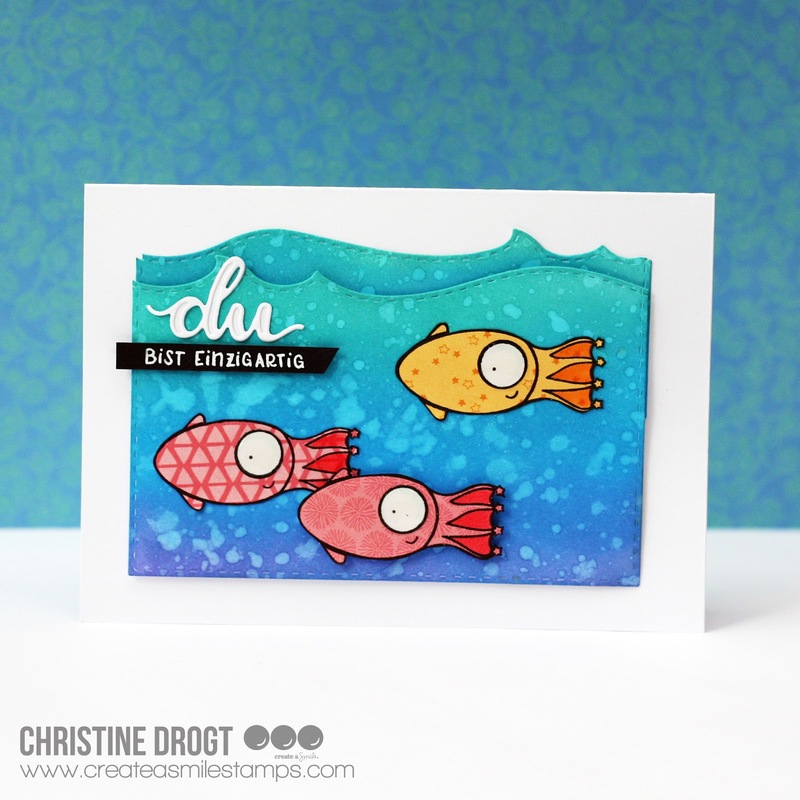 and create a card with this product and another task. I guess we all experience those moments when we fall in love again with a technique that we used to love years ago. Paper Piecing is something I re-discovered for me, lately. I just love the look - patterns everywhere. With the dies it was crystal clear that the theme would be ocean, so I created a background with my oxide inks (Peacock feathers, salty ocean, wilted violet). I paper pieced the vampire squid from Glowing Seaside / Strahlende Küste, die cut the "du" with the new "doppeltes du" cool cuts and added a small handwritten sentiment. The sentiment says "you are unique". 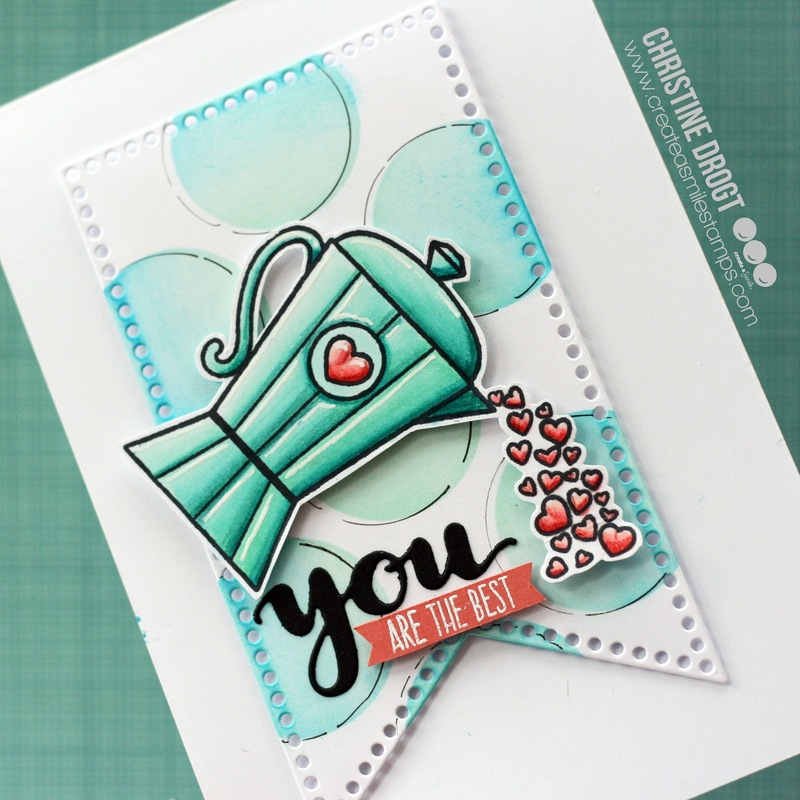 This coffee-themes card uses an older stamp set (just like coffee / so wie Kaffee) and an older die set (Stacked pierced banners) with two brand new products: The "Huge polka Dots" stencil and the "you twice" cool cuts. 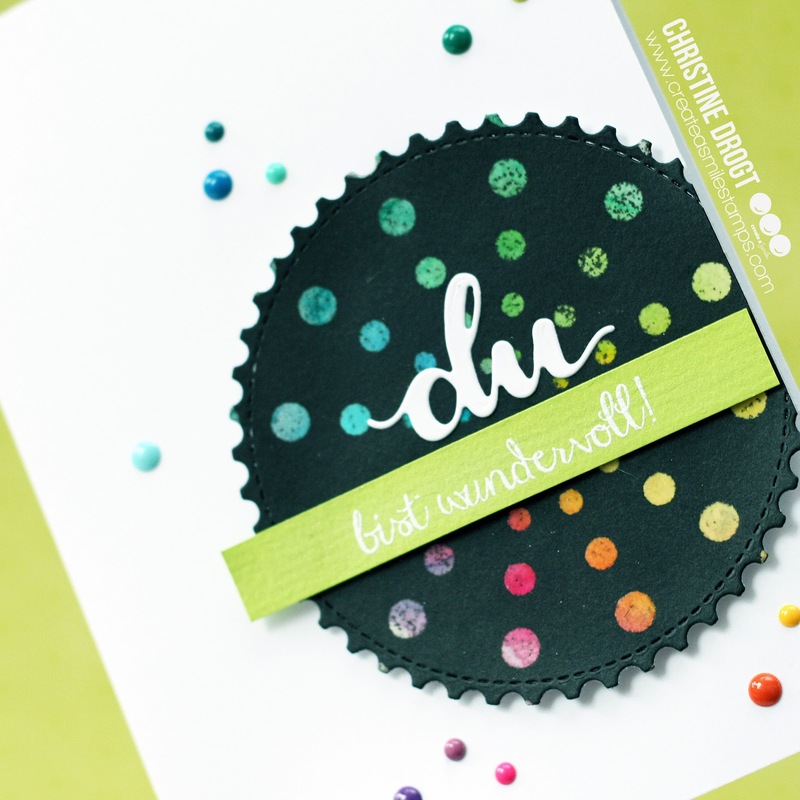 The last card is very clean and simple also, using the doppeltes du dies, the postage edge circle dies and the new Focal Dots stencil. 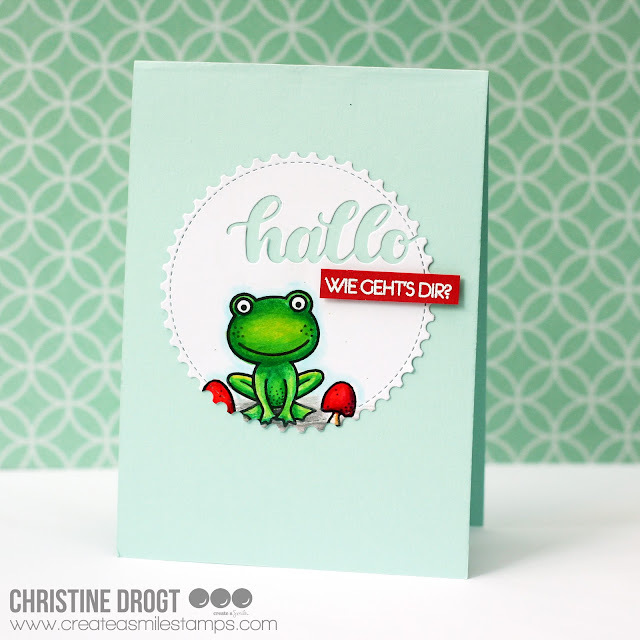 Please hop over to see what Anni created for our Lottie and Lisa #177! Thanks for stopping by, have a wonderful sunday! how did you so these outlines (?) to the Polka Dots on the second card? Looks like they were cut out somehow...?